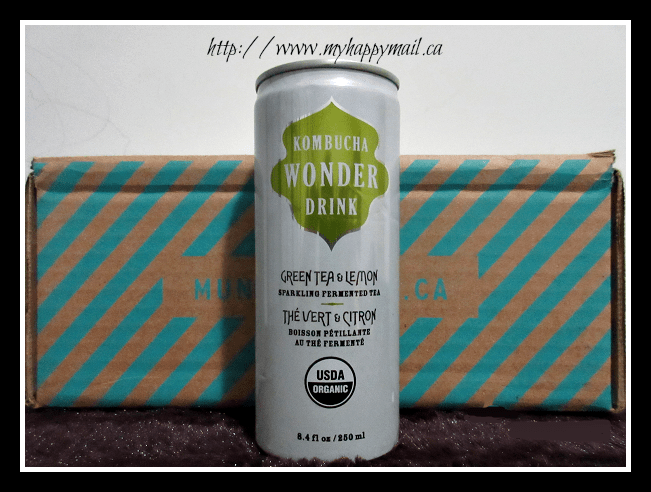 Munch Better is a Canadian Snack Box Subscription. Each month they send you a variety of healthy snacks and many of the snacks that are in the box are from Canadian companies too! Munch Better ships out on the 15th of every month. The April box had 7 items in it. I’ve tried these before and I really enjoyed them again. I’m glad I got another package because it reminded me that I wanted to try the pistachio flavour. 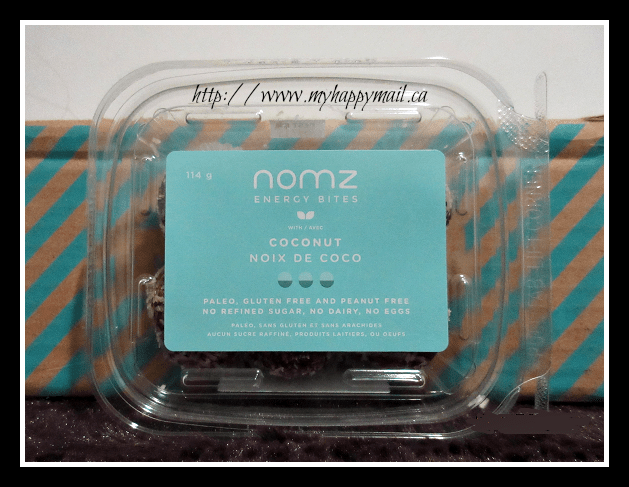 Paleo diet friendly, Gluten Free, Peanut Free with No Refined Sugar, No Dairy, and No Eggs these are made with dates, nuts, cocoa, coconut, and coconut oil, They have 4 flavours of energy bites 1. Coconut 2. Hazelnut + Cocoa 3. Pistachio 4, Pecan.They are delicious snacks that I can feel good about giving my toddler to eat. 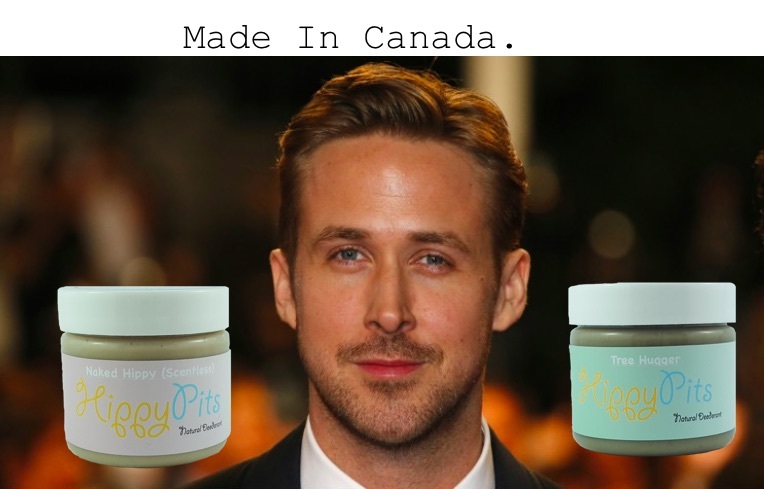 I’ll have to look for them in my grocery store, where it looks like they sell them now. You can click here for a full list of locations where these little balls of goodness are available. I’ve never tried sunflower butter before it has a nice mild flavour. I like the squeezepacks, they make it easy to throw in the snack bag when we are out and about in case someone gets hungry. The size of the packs are generous 32g / 2 Tbsp portion size each. 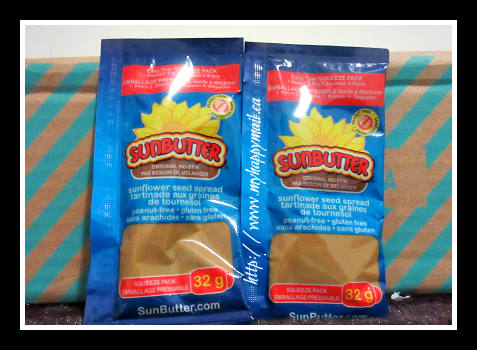 Sunbutter has many different varieties available which you can find out about on their site HERE. The Coconut Curry Flavour in this was yummy and reminiscent of thai food, which I love. As far as Kale Chips go these are some of the best tasting I’ve tried. 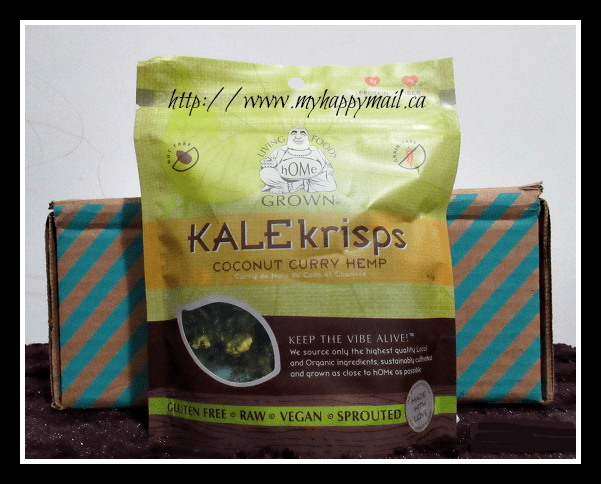 These were also approved by my two year old, he usually doesn’t go near Kale Chips but he really loved these so yay! You can find out more on these on the hOMe Grown Living Foods Site. Made Good Raw Fruit and Nut Bar – Chia and Berries & Brazil Nut Orange Flavours. All the Made Good Bars I’ve tried so far have been good, but these raw fruit and nut bars are definitely my favourite ones. The are chewy and have a good crunch from the nuts. They also have no refined sugar in them which is a good bonus for me. They come in 4 flavours and you can click HERE to visit the Made Good site and find out more about these bars. 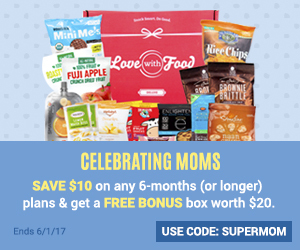 This box is the last one in my 3 month subscription and I would recommend anyone who is looking for healthy snacks to give this box a try. Every box I’ve had has been so well curated and honestly I’ve enjoyed pretty much all the snacks in them. You can see my other Munch Better Reviews HERE and you can click HERE to reach the Munch Better Site.